Welcome to the timeless community of Lyford Cay, established in the late 1950’s, a royal homestead deemed one of the world's wealthiest and most exclusive neighborhoods, comprised of 300 of the islands prime oceanfront, canal front and golf course residences. 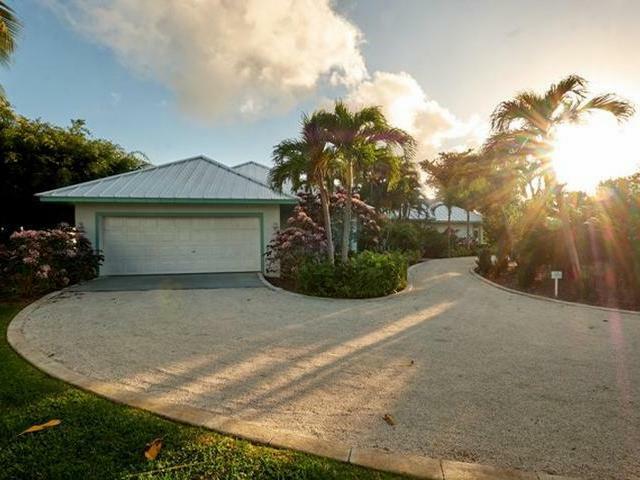 Real Estate in Lyford Cay offers sovereign island living and is home to a diverse pool of residents extending from Canada, Greece, Switzerland, France, and Britain to name a few. The finest selection in global Private Banking, Trust and Legal services assemble at its gates with a community hospital and luxury dining experiences also on its boundaries. True to its standard of residents, the community on boards high-end shopping a grocery store as well as the islands best and first international educational facility all within minutes of the international airport. It’s tastefully manicured and elevated hedging outline the inter-community roadways offering a cozy and sacred ambiance within adding to its premium features such as a 74 slip Marina, Yacht Club, Club House, par 72 private golf course, multiple tennis courts, its own private beach and pool facilities. Basics are uncommon here where only the world’s finest reside. Lyford Cay offers 1,000-acres of esteemed island dwellings and residential properties in the most desired servings. Having been one of the first Gated Communities built in Nassau, Bahamas, it has set many trends featuring a 74 slip Marina that runs twelve feet deep, accommodating residing vessels as well as yachtsmen in transit for up to four days as it sits in the byways of a shopping center and an 18 hole members only golf course all just minutes from the international airport. With private chefs the norm in this community, fresh is key. The luxury community showcases a harbor store which provides a variety of farm fresh produce, dried goods beverages and gifts, a full grocery store with first-rate meats and produce and is within a quarter mile of the local western community fresh market. A high end shopping experience employing carves men and butchers consistent with its lavish display of fresh & organic offerings. Not interested in cooking but would still prefer a succulent meal? Twenty three restaurants collectively sit both within and outside the community gates with exceptional selections of veal, liver, lamb, fish, duck, vegetarian delights, gluten free options and more. Lyford Cay is the only on island community with its own hospital and the most prominent on island club membership through The Lyford Cay Club is extended to its residents which offers a private club house with access to its beach and pool facilities as well dining options. Home to 12 tennis courts and a private beach with the healthiest and most startling white sand known to provide the most captivating and spellbinding sunsets and sunrises, perfect for midnight strolls, daytime slumber or a casual dip. This vintage community offers a premium international education through its namesake; Lyford Cay International School; a fully accredited day school and the only in country which offers International Baccalaureate (IB) programs from its primary educational facilities throughout its 12th grade school program. Lyford Cay is home to many of the country’s wealthiest and as such, Private Banking and Trust Services as well as the most desired Attorneys are strategically positioned on its boarders. Those that visit, wish they could stay and those that are fortunate to reside herein do so with a poise consistent with that of isolated supremacy.